Day 7: Somehow I always have the best intentions to get to the park for rope drop (official park opening), but we have never successfully made it. I think it is because we always stay at the parks much later than we should. Once we are there it is just too hard to leave the fun! 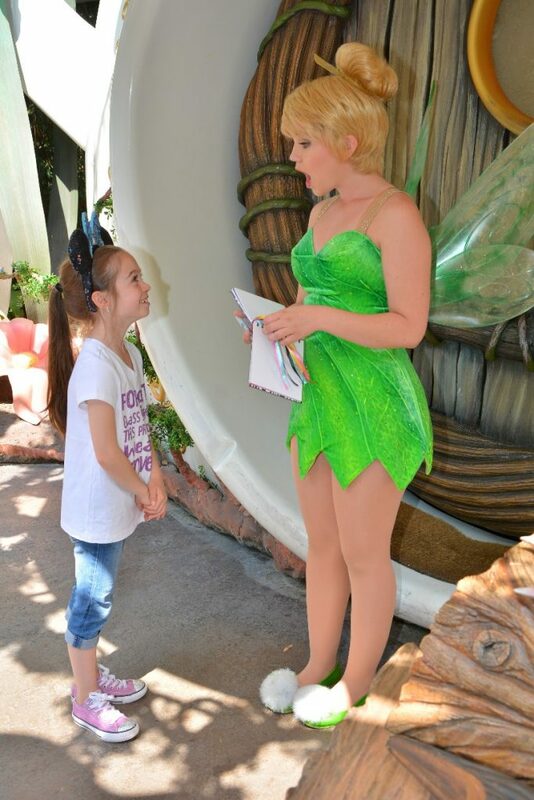 Elizabeth loves meeting the characters. 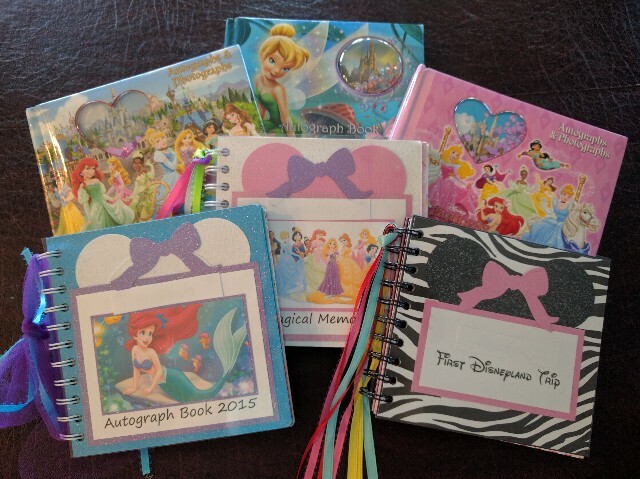 She has autograph books from every trip full of signatures and pictures of her with them. 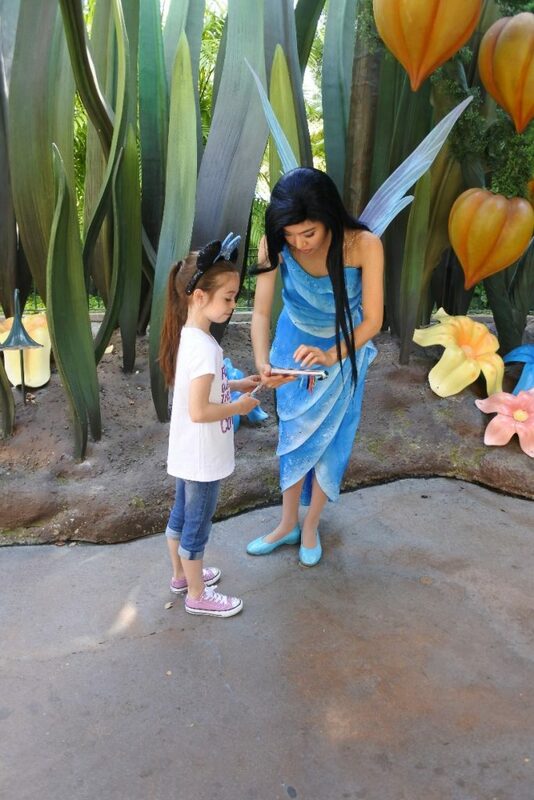 Disneyland is great for meeting unique characters (Disneyland definitely gets the win here). 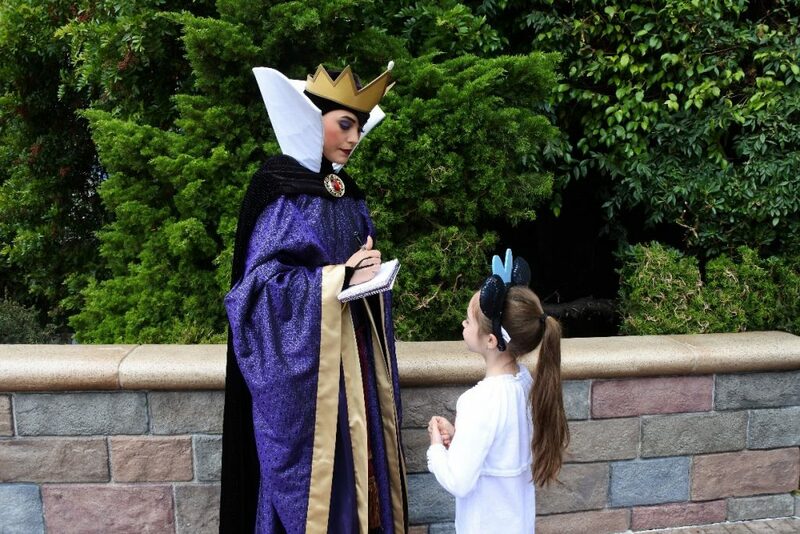 They have some villains around all year, unlike Disney World where you can only meet them during Mickey’s Not So Scary Halloween Party. Elizabeth’s goal for the day was to meet as many new characters as possible. 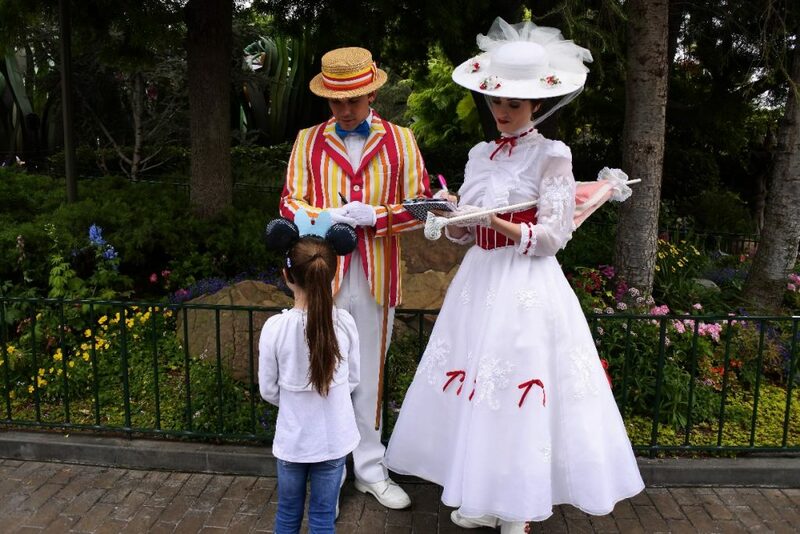 We checked the character meeting times on the Disneyland app and made our way directly to the area just past the hub in between the castle and Tomorrowland to find Mary Poppins and Bert. Next up was the Wicked Queen (!) who showed up in roughly the same area as Mary Poppins. She was hysterical. The lady in front of us had three kids. The Queen looked at her with disdain and said, “Three children? A bit much don’t you think?”. Now we were off to Star Wars Launch Bay to see Chewbacca and Kylo Ren. Before heading into the building I grabbed Fast Passes for each of us to ride Hyperspace Mountain. The line for Chewbacca was long, but worth it. 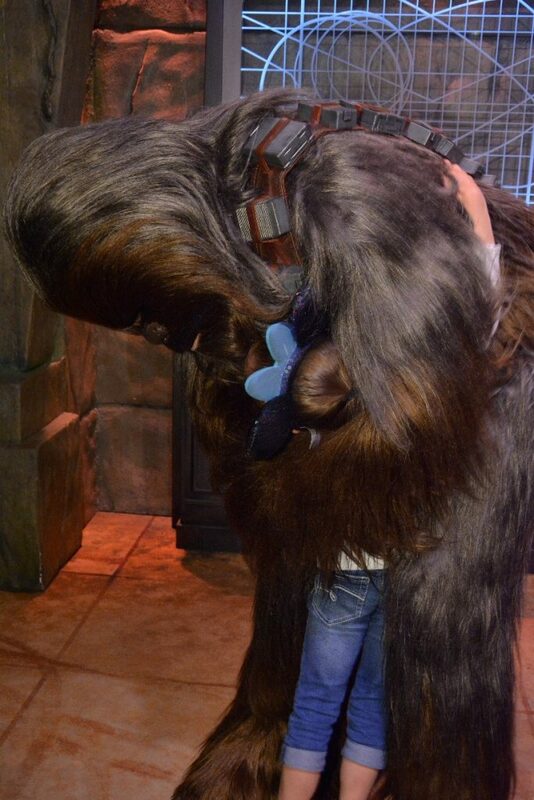 He hugged Elizabeth, made his signature Chewbacca noise and was super friendly. The line for Kylo Ren was much shorter. He also spoke to us. He inquired of Elizabeth if she was loyal to the Empire. 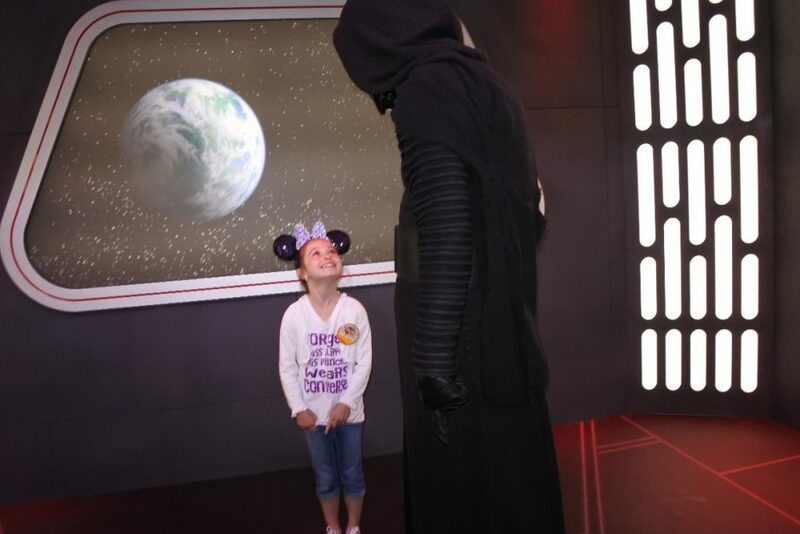 Thankfully she pledged her allegiance to the Empire so we were able to escape unharmed. By now we had been in the park almost two hours and not ridden a single attraction. I was getting antsy. The line for Finding Nemo Submarine Voyage was short so we decided to go for it. It really felt like you were way below the water even though the sub is never submerged. 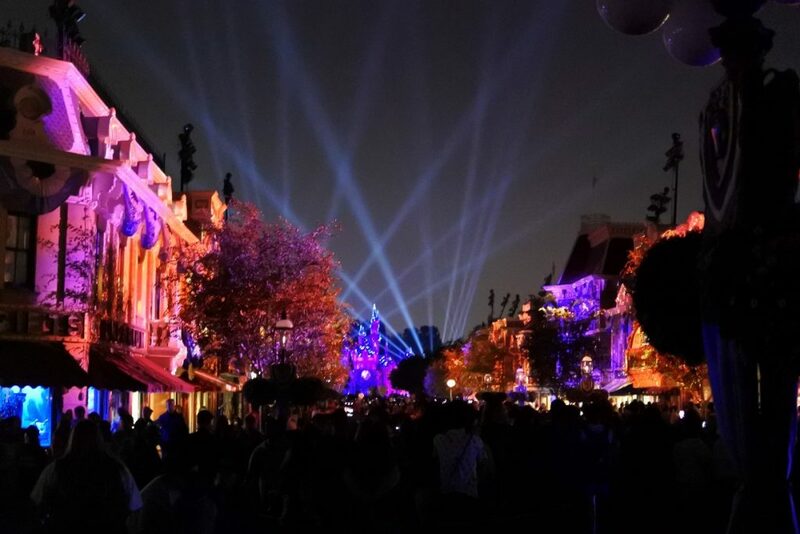 We really liked it, but if you are at all uncomfortable with small spaces there is a way for you to experience the attraction without being in the sub. Here is the scoop on how from DLR Prep School. Guess where we went next? To meet more characters! 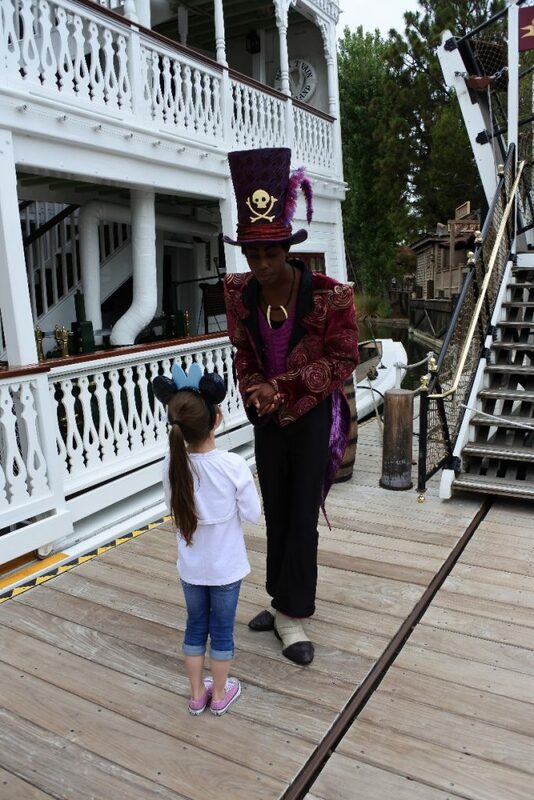 Dr. Facilier (the Shadow Man) was up first. 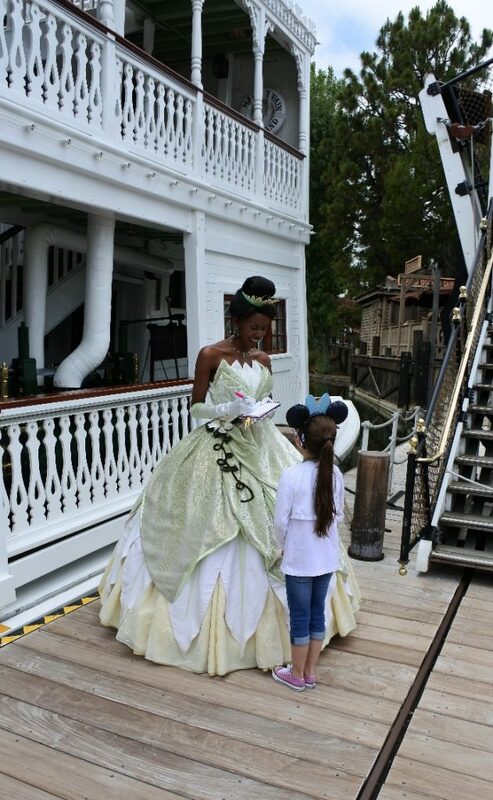 We then explored the docked Mark Twain Boat and listened to an amazing band there until it was time to meet Tiana. She arrived in the same spot where the Shadow Man had been previously. My cries for rides was finally acknowledged and we made our way to Big Thunder Mountain Railroad. 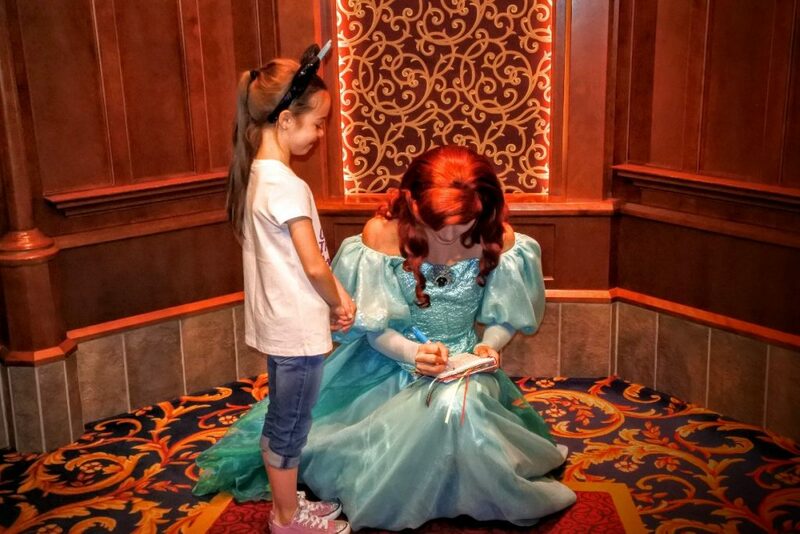 My excitement was short-lived because then we stopped at Royal Hall to meet Cinderella, Snow White and Ariel. 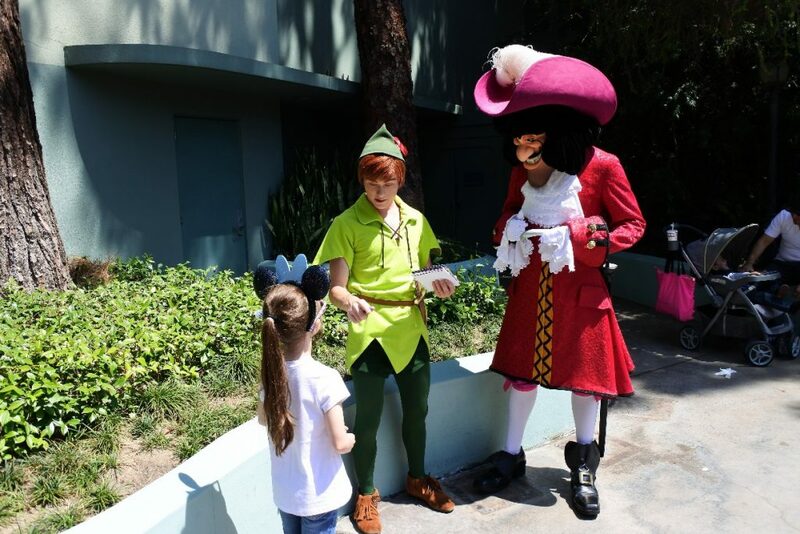 Now it was time to stalk the arrival of Peter Pan and Captain Hook before heading to Pixie Hollow to meet Silvermist and Tinker Bell. It was now time for our Fast Passes to Hyperspace Mountain so I finally got to ride another attraction! Normally it is Space Mountain, but there was special Star Wars theming during our trip. This was a huge bonus since our family is all about Star Wars (our pets are named Yoda and Sabine). After Hyperspace Mountain, (which was a huge hit even for my mom who hates roller coasters) we rode Buzz Lightyear’s Astroblasters and Alice in Wonderland before our dinner time at Blue Bayou. At Blue Bayou we checked in and they confirmed our party had a food allergy on file (check out my guide to Disney with food allergies). We were seated and enjoyed the peculiar ambiance of eating at a restaurant located inside the Pirates of the Caribbean ride. Elizabeth could not get enough of the light up menus. 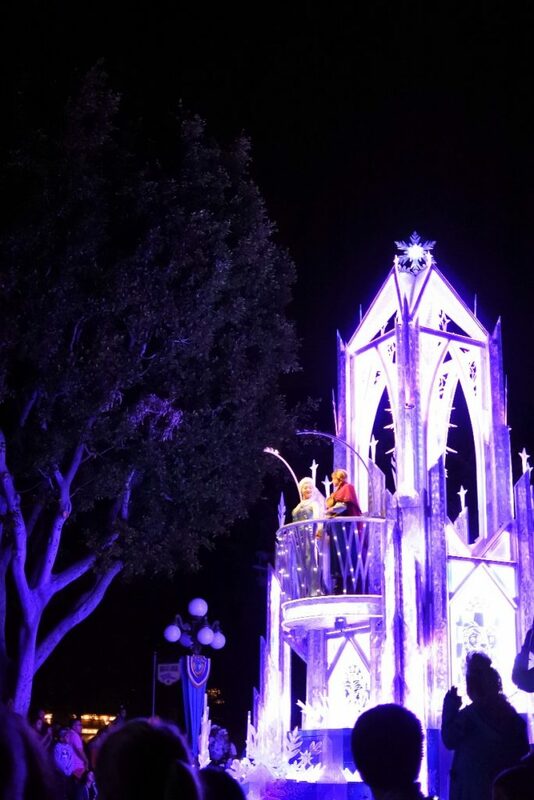 At the end of the meal we collected our special viewing section tickets for Paint the Night parade that evening and snuck in Snow White’s Scary Adventure, Mr. Toad’s Wild Ride, and Star Tours before parade time. 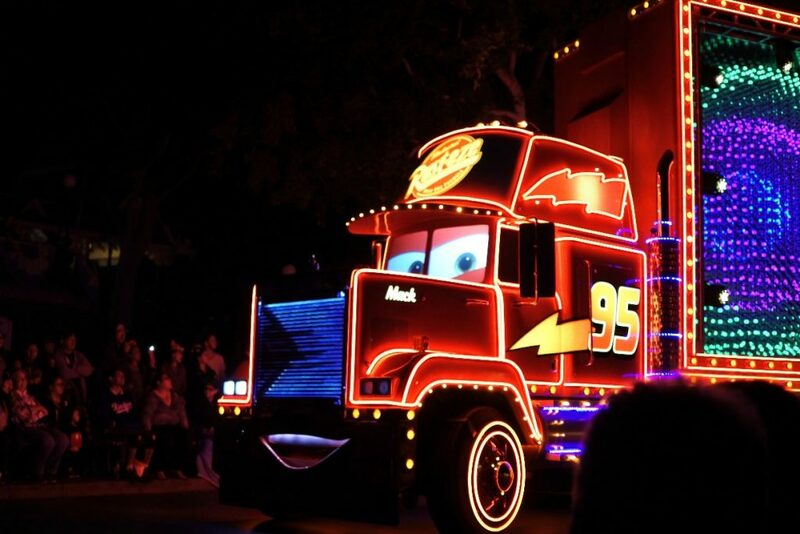 Please note Paint The Night has now moved to Disney California Adventure and has different dining packages. Find out more here. Doing the Blue Bayou dinner package was expensive, but it saved us a lot of time. People begin to set up for the Paint the Night parade 1-2 hours prior to the start, but we only waited about half an hour for our great viewing spot. I managed a front row view for Elizabeth and we sat right behind her. After the parade, which was A.MAZ.ING we simply stood up, turned around and waited a few minutes for the fireworks to start. 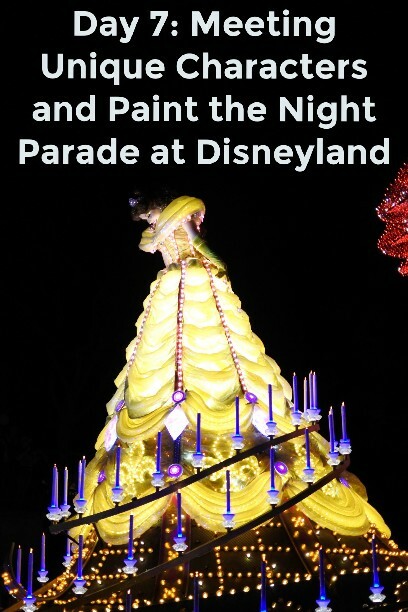 (Note: regular run of the Paint the Night parade concluded on September 5th at the end of the Diamond Celebration) The current nighttime parade is the Main Street Electrical Parade which runs until August 2017. As usual, the fireworks did not disappoint. We had put in a very full day and were wiped out. It was time for the walk back to the hotel for the night. 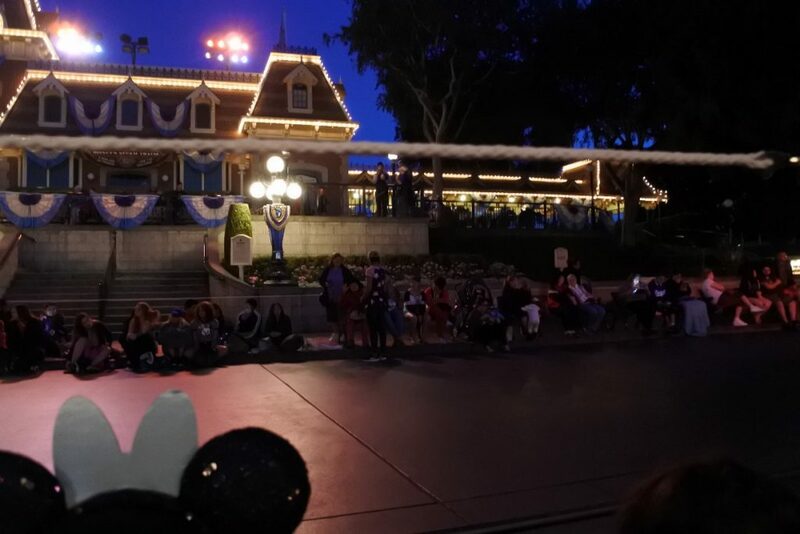 Spoiler Alert – we did not make it for rope drop for day 8 either. 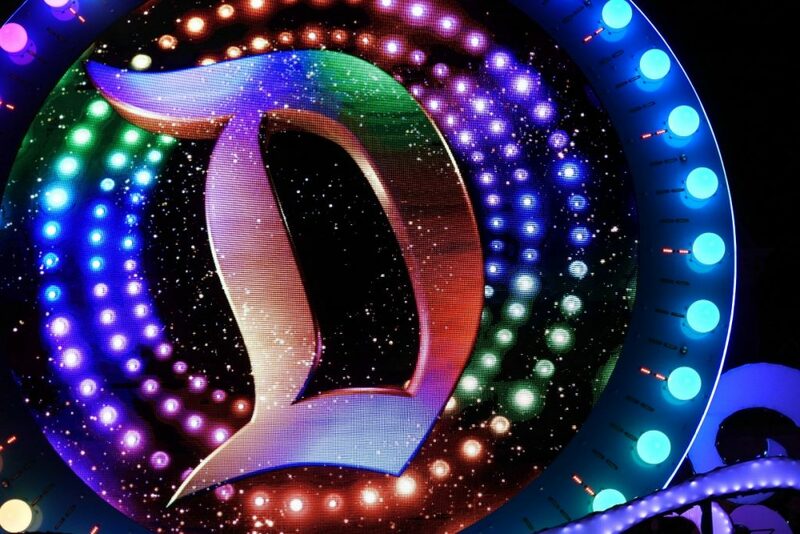 I want to go on vacation with you guys….